Top photo: Highgate Wood by Alan Tucker. There are 8 million trees in London covering about 20% of the area. We mostly take them for granted, but we’d miss them if they were gone. This Fri – Sun, 18th – 20th May 2018, the Museum of Walking is putting on an Urban Tree Festival – a diverse series of guided walks which are listed here. 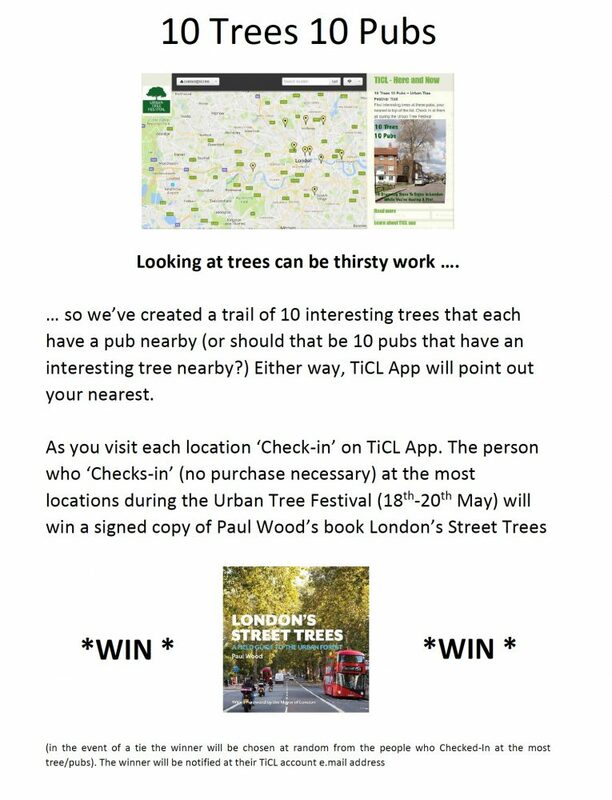 They’ve also created a free trail of 10 interesting trees that each have a pub nearby (or should that be 10 pubs that have an interesting tree nearby?) Download TiCL App to get started. On Sunday 15,000 runners will take part in the Hackney Half Marathon. 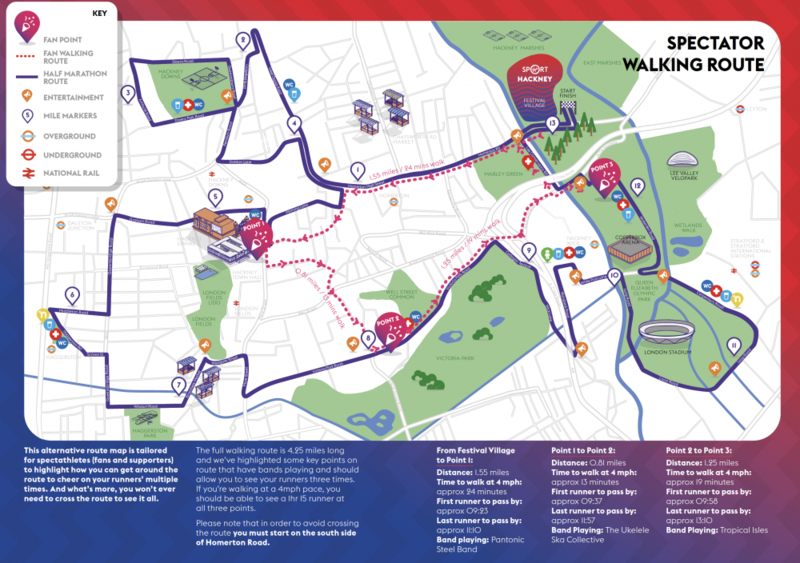 The races start from 9am on Hackney Marshes, just a bit northeast of Mabley Green. There’s this very useful Raceday Guide. Below is a screen grab from it of a suggested spectator route. There will also be free special events on at Here East with family-friendly fun, including live music and dancing lessons. All of the bars and restaurants at Canalside are participating. On Tues 22nd May from 6.30 there a guided walk around Wilcumstowe (in Anglo-Saxon) – called Walthamstow Village before the Railway. Details here. Tuesday 5th June 12-3pm £3 entry, at York Hall Leisure Centre, 5 Old Ford Road, E2 9PJ. Light refreshments will be provided & paid bar will be open. 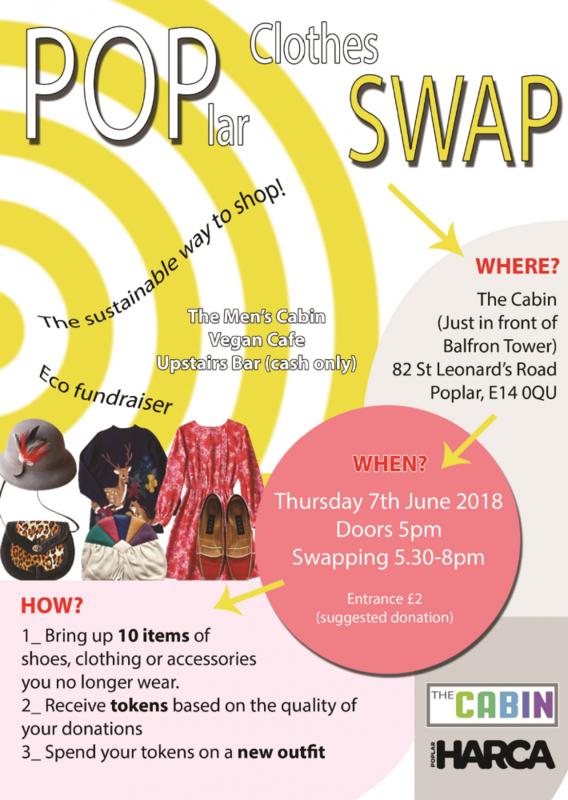 The next POPlar clothes SWAP is on Thursday 7th June at 5.30pm. See poster below. The London Festival of Architecture 2018 programme – an eclectic and diverse series of 400 events runs across London from 1-30 June. The full programme is on the London Festival of Architecture website.